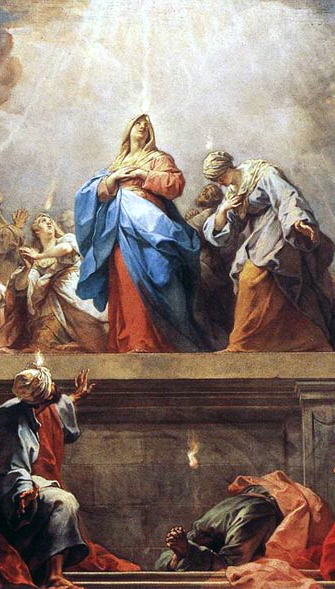 We beseech Thee, O Holy Spirit, descend with Thy light and consolation into our souls; enlighten our understanding, and consecrate the hearts which Thou past sanctified as Thy temples. O Holy Ghost, come and bring us God’s blessings and peace; console us and all the afflicted; encourage and strengthen the weak; instruct and support the wavering; arouse sinners to penance, and enkindle in their cold hearts the fire of divine love and filial confidence in Thee, that all men, in peace and joy, may thankfully praise and adore Thee, together with the Father and the Son, one God, world without end. Amen.